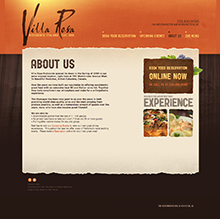 Villa Rosa needed photography, website design, menu design, logos and everything else to really make there amazing restaurant stand out from the crowd. 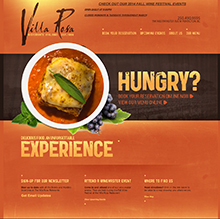 Located near the shores of Okanagan lake the Villa Rosa serves up some the best Italian food in the Okanagan. The feel from the sign outside to when you walk inside is consistent and holds true to their brand. 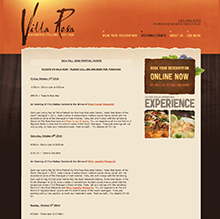 If your ever in Penticton go try the Villa Rosa. Photos of dishes neatly integrate into the website home page. Easy navigation and clean calls to action. 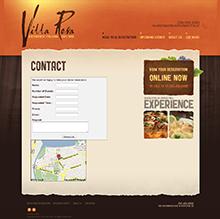 Reservations and booking through the website. 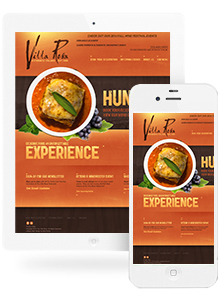 Full branding from signs to logos to websites and menus.